For over 30 years, EAGLE Contract Resources has specialized in providing custom window, bed, and shower treatments for all levels of hotels, resorts, casinos, restaurants, and other hospitality applications. Eagle is the primary drapery and bedding manufacturer for DesignWise. Their level of professionalism and pride in what they do has kept us coming back. Eagle has done numerous jobs and our customers could not be more pleased. Eagle comes highly recommended from all of us here at Designwise. One of the greatest challenges we face as designers is finding qualified vendors to take our designs and complete them to our expectations and our client’s satisfaction. Eagle has proven to be a vendor with a dedicated commitment to make every project exceed our expectations. They handle every aspect of our orders with a professional approach which gives us a comfort level that the finished product will be on time and installed without issues. The entire team is knowledgeable, responsive and courteous which makes working with them not only a pleasure but hassle free. 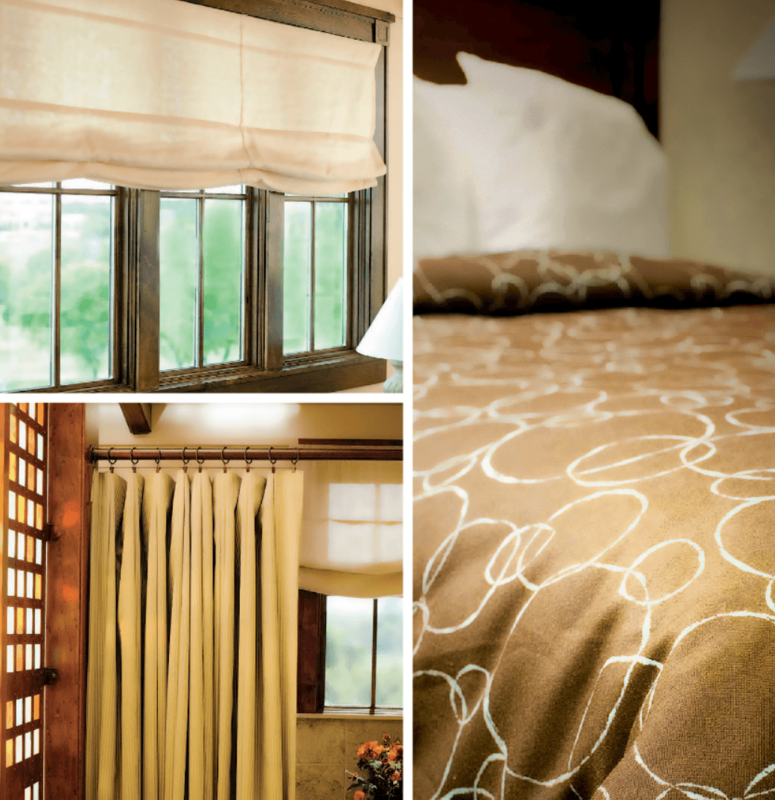 We are thankful that we can rely on Eagle Contract for all our drapery and bed treatment needs. They have proven to us that no job is too small or too big for them to handle. And we love them!!!! What a great company to work with! As their name “EAGLE” implies, they do keep an Eagle Eye on each order. Their customer service and fabrication quality is unmatched in our industry with fair price. We are glad to have them as our vendor. Roadrunner Furnishings has used many manufacturers of window and bed coverings over the years, but for the last 10+ years have stayed with Eagle Contract mainly because of their absolute commitment to service while keeping their prices and quality better than, or at least equal to other sources. We consider them to be an integral team member with us and greatly value their cooperative spirit. – Mike Armstrong, Roadrunner Furnishings, Inc.
We’ve been working with Eagle for many years and they always take care of us and our clients. We recommend Eagle to all of our clients and have been very satisfied with all of the work that they have done for us. They are professional and accountable, and this is very important to us! Thanks Eagle! – Michael Kiser, Studio R Interiors, Inc.